Summer is right around the corner and you know what that means – swimsuit season. 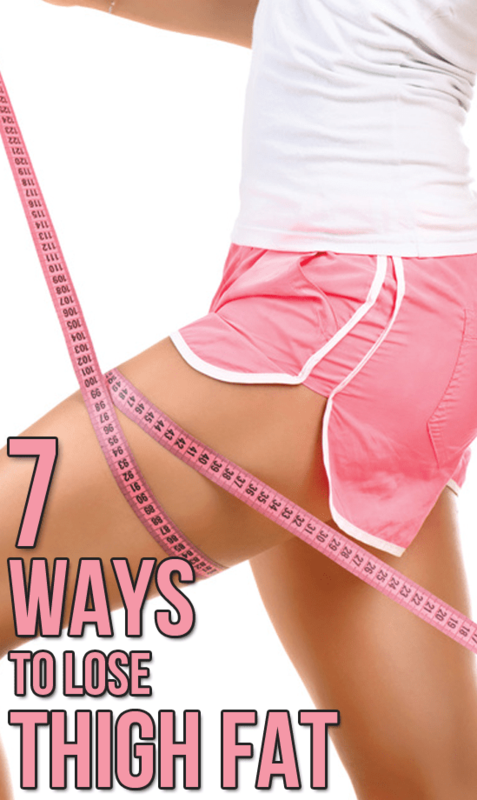 ​If you’re working to lose that last bit of weight, specifically around the thigh area that you can never seem to get rid of, check out these 7 best exercises for thighs that will have you toned and shapely, and help you lose the weight there for good. Yes, it is possible to actually be happy with the way your legs look! ​If you combine the following workouts and do them three times a week, you will see definite results. Keep that in mind once you are feeling the burn! How to Get a Thigh Gap! Pilates is a killer workout for your core, and your inner thighs are a key stabilizing muscle in many of the movements. 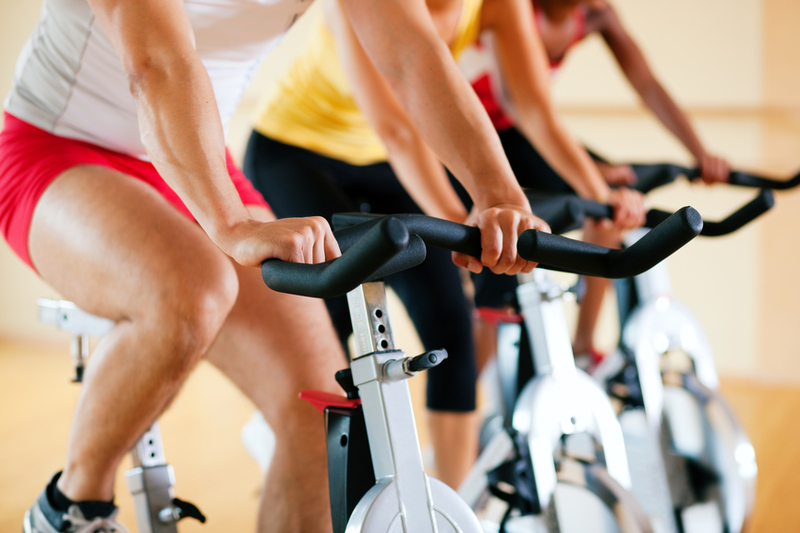 You may actually feel your inner thigh muscles working harder than your abdominals. This little burner is easy to do and is one of the best exercises to slim thighs. Lay on your side, stretching our your bottom leg so that it’s straight and cross your top leg over it resting either your knee or foot on the floor. Rest your hand on your arm, or prop your head up with your hand. Inhale, and then as you exhale lift your bottom leg up keeping it straight and holding you core tight. Inhale as you lower back down. Repeat for 10-15 reps, and then switch sides. This fun movement is a calorie burner as well, so be prepared to rev your heart rate and target every muscle in your lower body at the same time! Stand up straight with your feet wider than hip distance apart. Keeping your tummy tight, bend your knees and push your gluts back, pressing your knees out and reaching your hands to the floor. Lower as far as possible while keeping your upper body lifted. In one fast movement straighten your legs and hips, exploding off your feet and jump into the air bringing your feet together and hands overhead. Land with your feet back wide, and immediately drop into a squat. Repeat 10 to 15 times, and then take a break and catch your breath –you earned it! ​Lunges are a great thigh exercise, but the side lunge adds a little extra fuel to really target your inner thigh muscles. Step your right foot out wide, and bend your right knee lunging towards the floor. Work to keep your left leg as straight as possible, your upper body lifted, and your right knee bent and tracking over your toes. Press off with your right foot and bring your feet back together. Repeat the movement on the left side to complete the rep. Do 10 reps on each side. ​When people ask how to lose thigh fat for women, it makes sense to look at ladies with some the most enviable legs out there, like ballerinas. Plie squats are what give dancers their long lean look, and they are easy to incorporate into your fitness routine. Start with your feet wide, toes turned out to 45 degrees, and your chest lifted high. You can use a weight like the model in the picture for a harder workout. Bend your knees, engaging your gluts, core, and inner thighs, keeping them pressed back and over your baby toes as you lower down to 90 degrees. Press through your heels and straighten your legs to complete the rep. Do 10 to 15 reps. The stability ball is one versatile piece of exercise equipment, and it can work wonders on shaping your inner thighs. You can use any size of ball but in general, the bigger the better. Lay flat on your back. Bend your knees and place your feet flat on the floor. Insert a fully inflated stability ball between your knees. Place your hands by your sides and tighten your core. Then, squeeze your knees in towards each other, thinking about trying to squish the stability ball. This will be a small movement, and that’s what you’re aiming for here. Squeeze as hard as you are able and then relax, still keeping pressure on the ball. Repeat 20 to 25 times to complete the set. The bridge, a yoga pose with many benefits, uses your inner thighs to stabilize during this intense hold. Lay flat on your back with your knees bent and feet flat on the floor, arms by your side. Inhale, on the exhale, push your hips up towards the ceiling lifting your hips off the floor and trying to create a straight line from your shoulders to your knees. Work to keep your thighs parallel to one another by engaging your inner thighs. Don’t let your knees come in, or release out to the side. One of the most important keys to lose weight in thighs is to really rev up your calorie burn with some sweat-spilling, heart-pumping cardio. Cardiovascular exercises burn tons of calories, and it helps your body to metabolize your fat stores, revealing that lean, toned muscle underneath. Even better, there’s no need to spend hours a day at the gym. Choose activities that burn the most calories like running, jumping rope, stair climbing or biking to get the maximum burn for the least time investment. Related Article: How to Get that luscious Thigh Gap! Thanks for these tips! This is the common problem of most girls I know. They keep on asking me how they can lose fat on inner thigh but I can’t answer them. Well, I just have to send this article. Very informative. Enter your email below and we'll send you a copy of each exercise with a description of how to do it!